Can a spacecraft be lonely? Probably not. And yet there is something very poignant about the images of Beagle 2 on the surface of Mars that were released on Friday. It seems to have landed in the right place, an amazing feat in itself. The solar panels appear to have partially opened, so it was gearing up for operations. But then, something went wrong. 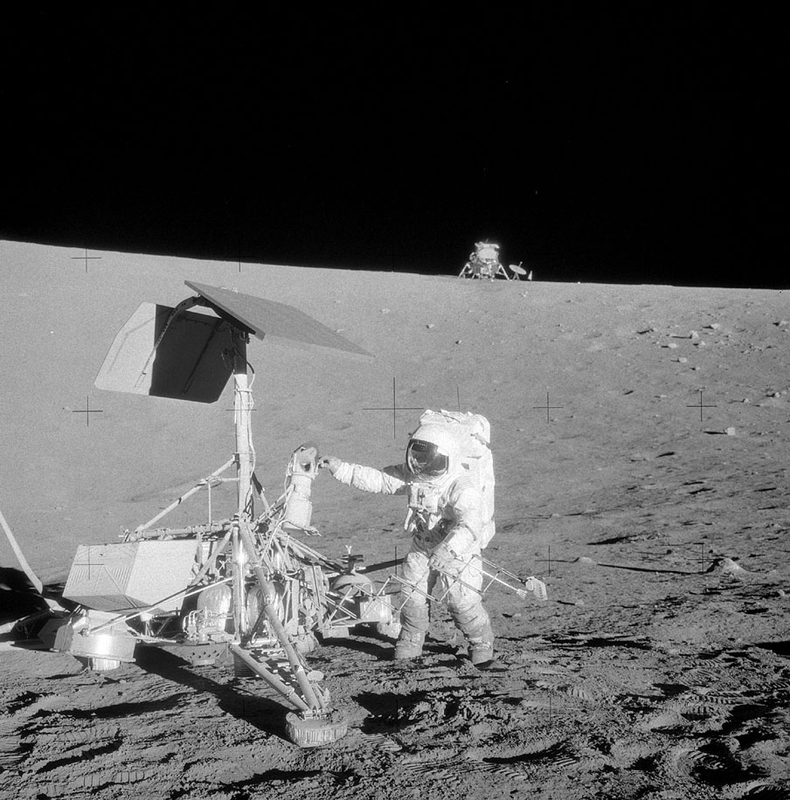 The remaining panels failed to deploy and, as a result, the radio antenna was blocked. The little craft could not communicate and that all important first signal never came through. The agony of the wait back on Earth was recorded live by the media. It was an excruciating and painful sight. I was never involved in the mission, but as a colleague who shared the same building, you couldn’t avoid being a witness to the deep sense of disappointment that flowed from these events. Unfortunately, failure can be an option and a profoundly painful one for all those involved. So, the fact that Beagle 2 has finally been located and appears to have been just a fraction away from ultimate success is truly unexpected. It didn’t after all crash and burn. It landed just as it was designed to do. It started to operate and got, oh, so close. 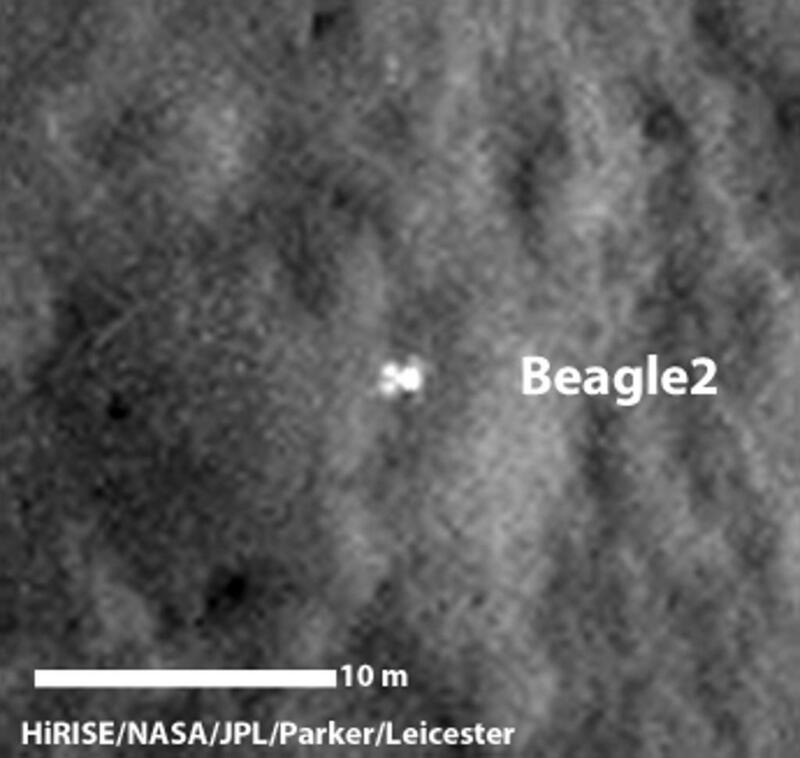 And, as in the case of the Apollo 12 astronauts and the Surveyor 3 Lander, perhaps one day someone will be able to visit Beagle and finally solve the mystery of why it failed to call home. The events of the last few days have helped to put the Beagle 2 mission back where it always belonged, as a truly heroic scientific endeavour. The late Professor Colin Pillinger, the inspirational leader of the mission, would have been greatly encouraged that Beagle 2 had successfully landed on the surface of the red planet. There will probably never be a Beagle 3 mission, but then again there ought to be. Colin would have been the first to point out that you can’t get that close and just give up. And he would be right! January 20, 2015 in Missions.